Many people, who are not connected with IT sphere would wonder: what is drupal development? Those ones, who have already appreciated the benefits offered by this open source platform, know that it is used for managing web content and guarantees the timely delivery of content to the right user.Drupal community is rather big including agencies, private developers, one or another drupal development company etc. All of the aim at the development and provision of services connected with Drupal. If you know the reason why Drupal is a preferable platform of the White House and Tesla corporation, then most likely you will start looking for the best company to offer custom Drupal services. In this case, it is important to turn to Web Peppers, a global leader in this field. 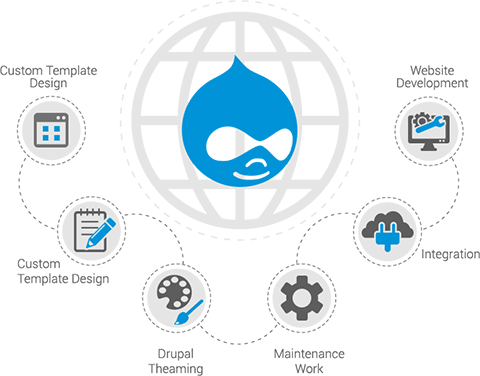 Our drupal development company works with the latest versions of the platform taking into account all new advantages from the latest 7 and 8 versions. Our team of professional developers always improves its skills and together with each newly released version they devour Pro Drupal Development manuals and put all the new knowledge to practice. Every developer from our team is aware of the best practices used in development as well as the way how to write efficient codes. That is why the quality of the delivered by our agency services is only of the premium quality. Turning to our company you will receive innovative Drupal-based solutions for reasonable money. All these solutions are scalable, secure and rich in features, so all our clients are satisfied with the delivered services and are happy to visit websites that do not follow behind from the one of White House. Choose Web Peppers to receive a quick and cost effective development services. we are innovative, using the latest programming tools, the best multifarious resources and generating brilliant ideas to complete tasks of various complexity.